I wanted to interface my iPhone 6S mobile phone with Arduino Nano using BLE Bluetooth connection. Searching in Google, I found an interesting board, which costs just few Euros, called HM-10. I bought it on Amazon Japan, and received it few days ago. Now, I am writing a simple guide on how to perform the … Continue reading "HM-10 BLE Bluetooth serial adapter"
Yesterday I received at home my first Arduino 101 (Genuino 101). I bought it on Yahoo Auctions for just 2,000 Yen. The board has the same size of an Arduino Uno, Ethernet and similar. But, instead of an Atmel microcontroller, it uses the new Intel Curie architecture. The frequency increases from 16MHz to 32MHz. 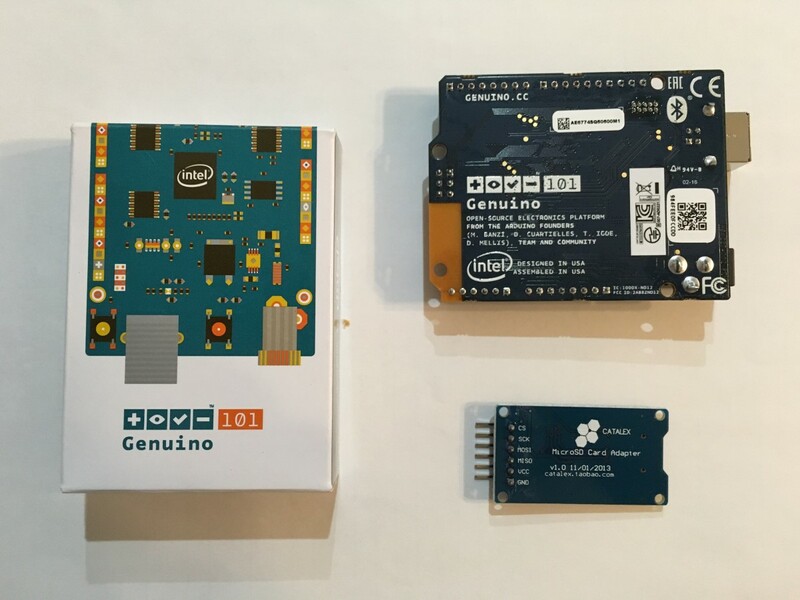 The … Continue reading "Arduino 101 has arrived"